Continuing the story from Saturday. 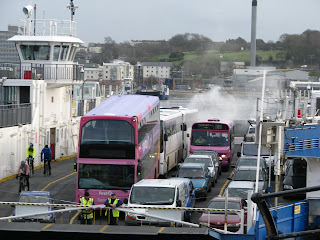 The next event of the trip was when we reached the Torpoint ferry. I got off to take photos of the buses disembarking. Unusually there were 4 different buses on the ferry. These being 2 MOD Volvo B10Ms, a Dennis Trident and a Mercedes Vario. Though when 50306 went to start up a huge cloud of smoke arose. The picture was taken about 10 seconds after the startup so I'll leave you to imagine what it was like at first!! The video below also shows the other 3 buses coming up the ramp and more fumes coming out the back of the Vario. You will also notice the suspension is somewhere lower than usual. 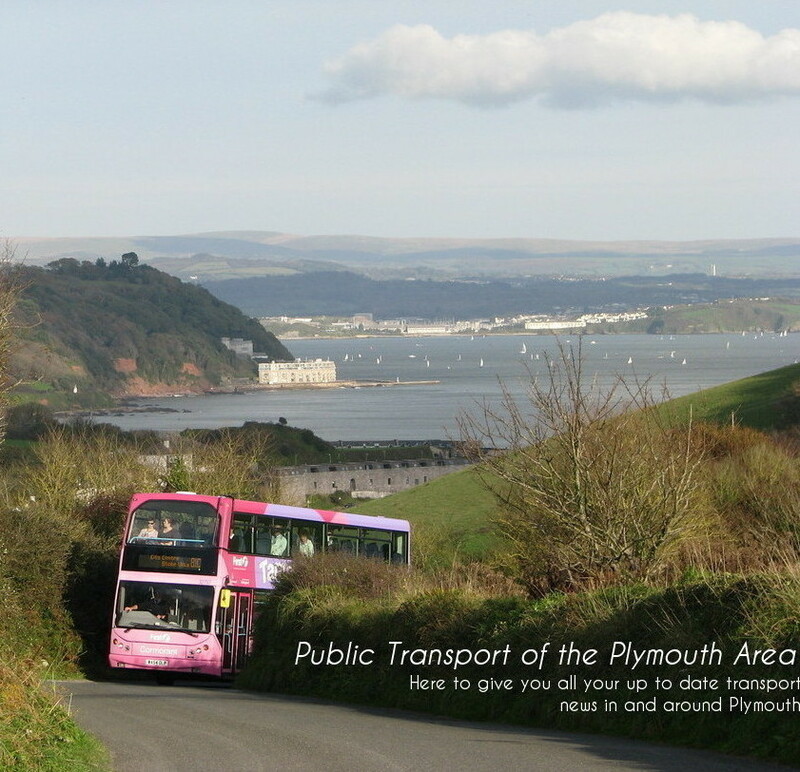 Does show that this one is pretty shot and likely at the end of its life unless a major overhaul is undertaken, similar to the other 2 Torpoint Varios which have already had this overhaul.